“Overuse injury” is an umbrella term for many conditions that stem from prolonged or suddenly-increased repetitive exercises. For example, prolonged mouse use could lead to shoulder pain and cause the muscles to become stiff and tight. Likewise, a one-off instance of stress on the shoulder could cause pain – like a day spent lifting heavy boxes when moving house. In athletes we commonly see this when returning to training after a break or injury- often to a different area or the body to the initial injury! Tendonitis (or tendinopathy as it is more correctly termed) generally appears in two forms. The first is a mild ongoing pain that doesn’t prevent you doing anything but always seems to be present. You can “get by” with stretches and other exercises but you rarely have complete relief. The second is the very acute, sharp pain that appears as a result of overload or overuse. If you’re experiencing pain around the shoulder joint, whether acute or long-term, seek advice from your physiotherapist immediately to avoid doing any irreparable damage to the tendon. Most importantly look for a physiotherapist who has expertise in managing tendonitis or tendon problems. Recent research has greatly enhanced our understanding of how to best treat these issues and many health professionals have not caught up with this new evidence. A non-ergonomic workstation may lead to poor posture resulting in shoulder pain. We highly recommend booking an ergonomic assessment of your work station if you spend long periods of time at a desk. We offer this service to Perth clients as a part of our occupational health and injury prevention physiotherapy services. In the meantime, make sure you take regular mini-breaks to move and stretch while you’re working. If you can help it, avoid sleeping on your stomach. Stomach sleepers are prone to neck, back and shoulder pain due to a lack of muscular support and end joint range of motion positions. Side and back sleepers can also benefit from choosing the right pillow Chat to your physiotherapist for information about this. Neck pain may also present as pain in the shoulder area, or extend from the neck past the shoulder. In this instance, addressing the shoulder will usually not result in cessation of pain. Instead the actual cause of the pain must be diagnosed which may include the facet joints, nerve roots and discs in the neck. These must be assessed and treated appropriately. Bursitis occurs when the fluid-filled sacs (bursae) that reduce friction around the joints become inflamed or irritated. People who are suffering from shoulder bursitis near the rotator cuff might experience acute shoulder pain and stiffness or even lack of mobility. Assessment of the rotator cuff and impingement is important to assist in developing an appropriate treatment plan which nearly always includes rehabilitation and strength and conditioning exercises. A variety of conditions, such as hypermobile joints, loose ligaments and tendons, a history of shoulder dislocation, or low muscle strength around the shoulder, can lead to instability of the shoulder joint. As a result, there is increased risk of recurrent dislocations, which usually have an initial traumatic onset. If identified early, this may be treated by a physiotherapist using a combination of treatment methods. Should a dislocation occur, physiotherapists are ideally trained to assess and help determine the appropriate course of treatment. Pinch or irritated nerves usually present with pain, pins and needles, numbness or weakness. Commonly these symptoms may originate from the neck and travel down to the shoulder, arm and possibly hand. The most common site for nerve irritation is the neck however structures around the shoulder can also be a source of irritation. Any of these symptoms require assessment and treatment (where indicated) by a physiotherapist. Frozen Shoulder is a poorly understood and commonly misdiagnosed condition. It is also known as adhesive capsulitis and is more common in females, diabetics and the over 45 population but also occurs following surgery or trauma. It is characterised by pain and reduced active and passive movement in all directions. It is sometimes difficult to diagnose early in its course. Often the diagnosis of Frozen Shoulder is wrongly given due to a poor understanding of the difference between active and passive range of motion, and it may actually be shoulder impingement or tendonitis which can be effectively treated by physiotherapists. At the other end of the spectrum Frozen Shoulder is sometimes missed as a diagnosis and a clue to this may be when treatment to the shoulder is not improving pain or movement. The key to this is and all pain around the shoulder is accurate diagnosis by an expert physiotherapist in this area. Once a diagnosis is made, the appropriate treatment regimen can be determined to ease your pain and restore your function. 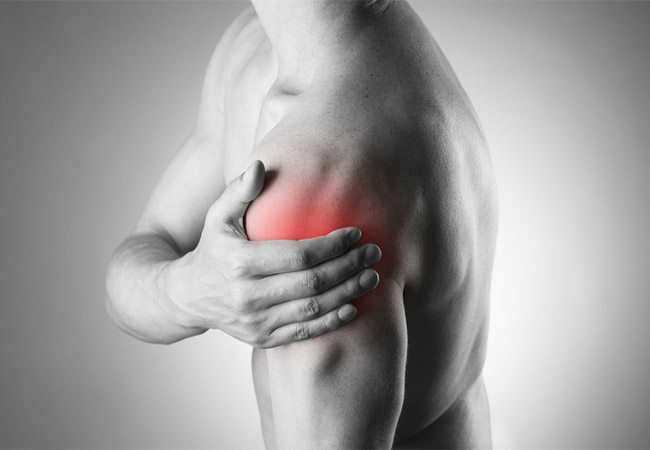 Like any pain, shoulder pain can be debilitating. If you feel it’s time to get professional advice and physio, call on 08 9481 1003 or fill out our quick online form to get a full assessment from a physiotherapist and start relieving the pain today.